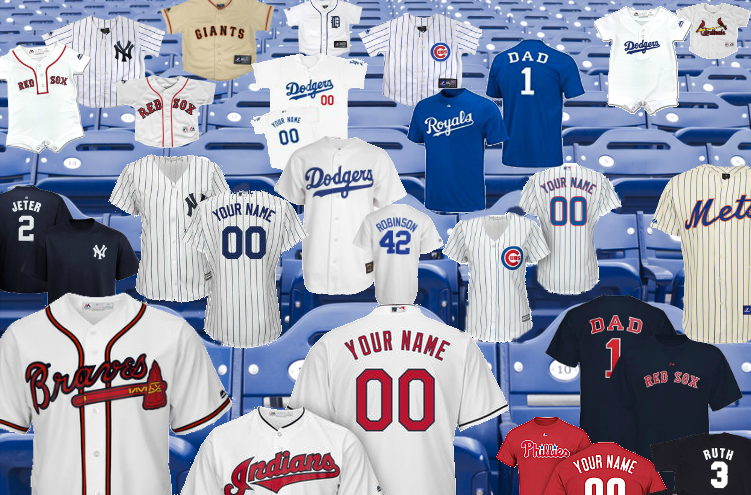 Personalize the back of your official Majestic jersey New York Yankees, Chicago Cubs, LA Dodgers, New York Mets, St, Louis Cardinals, Atlanta Braves, San Francisco Giants, Philadelphia Phillies etc. in either newborn , infant, toddler or kids size. To place an order just select your team and enter a name and number for your jersey. We customize your jersey with authentic twill material letter with stitching in the official team font and color(s). "Your little fan will look so adorable in your their official customized jersey.